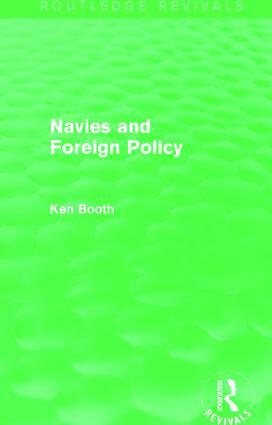 First published in 1977, this study offers a comprehensive, systematic and integrated survey of the important relationship between navies and the making and execution of foreign policy. Ken Booth explains the functions navies can perform in both war and peace, the influence they have on particular situations, and how the relevant organisations can affect the character of naval actions. Ultimately, navies are regarded as indispensable instruments of the state by a number of countries, whilst all countries with a coast find some need to threaten a degree of force at sea. This book provides students and academics with the intellectual framework with which to assess the changing character of the navy.